I've been participating every year since 2007 which makes November a very crazy, stressful, interesting month. Why do I do it? Because it challenges me to be creative. Plus I get to lock my internal editor in the basement and have fun just writing without worrying about the rules, plus it gives me a head start on completing a first draft. This year I've had a goal to learn more about editing and revision, because, yes at some point, I'll try to get one of these puppies in good enough shape to query a publisher. There are so many how to and do this and that rules books. 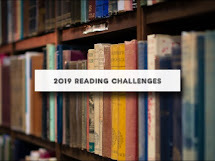 I've come across a few that have really been beneficial and even recommended by professional editors including James Scott Bell's Revision and Self Editing and K.M. Weiland's Outlining your Novel. I'm currently reading Writing Begins with the Breath by Laraine Herring. Plus I just received The Writer's Journey, Mythic Structure for Writers by Christopher Vogler which is based on psychological writings by Carl Jung and the myth making philosophy of Joseph Campbell. It's a big book and sure I'll be using it more for editing once I'm done with this first draft. 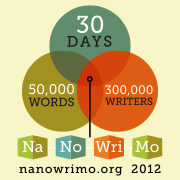 I did Nanowrimo with a bunch of women one year. I am not sure when it was, but it was SEVERAL computers ago. I wonder where it is? Have fun! I have done it a few times and am giving it another go this year. Haven't really planned anything, just have one crazy little idea and I am literally going to write at the seat of my pants this year. Hope I can still get some reading done too! I was doing so good! I've already hit the 52 mark but I was going for a book a week. Last week I finished nothing! I was on vacation but didn't read in the car and our days were spent hiking. I'll be back when I have reviews to link. Sounds like a fun month! Good Luck, novel-writing participants! I love that quote about how to sculpt an elephant!